Oxjam commences this Friday, so the Anglian Home Improvements blog team have been trying to catch up with some of the bands performing at this annual event. 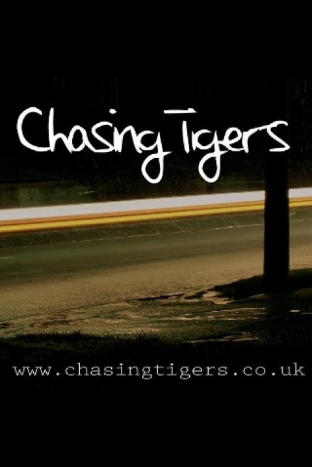 I was lucky enough to have a quick chat with Chasing Tigers. When did you start performing and how long have you been doing it? We started around three years ago as a band but we’ve all been involved with different projects in different genres & guises. How did you meet the other band members (if any) and when did you all realise you wanted to be in a band together? There’s three of us in the current line up, vocals & guitars Laurence Brooks, drums JJ Wiltshire and myself, bassist Dylan McCarthy. I met Laurence at a previous workplace, and we bumped into JJ at a friends wedding to find out he was giving up his DJ work and concentrating on playing the drums. Where did your bands name come from? Not sure where the band name comes from, we must of played around with hundreds of different names before we settled on Chasing Tigers. What is the genre of music you play? Good question to be honest, no idea; all three of us have vast & different musical tastes and this can be heard in our music. If anyone can tell us please send your answers on a postcard. There has been a quite a few good gigs this year, but to be honest we enjoy playing Karma, we’ve played there a few times now and always had a great reception. So it would have to be a Karma gig. What is the funniest thing that has happened to you whilst performing? The usual run of the mill typical band stuff amps, guitars, strings you name and its gone wrong at some time. Word of advice to any new band; always pretend it was planned, smile and carry on. Do you always gig locally and what is the biggest crowd you have played to? Lately we’ve played locally due to releasing an EP in November, meaning we have had to concentrate on recording and promoting, so this hasn’t given us the free time we need to get out and about. But after November we will be down in London and back out on the road. How long you got? In fairness we are inspired by many different artists through the ages and through different genres. We will listen to anything that’s good, we all have ipod playlists varied to say the least. Most importantly never forget why you joined a band to start or why you decided to pick up a guitar. As clichéd as it sounds, make the music you want to make, never compromise and be truthful to yourselves, either as a band or a solo artist. Hard to say, but where ever we end up we will always have a soft spot for Oxjam and will continue to support the hard work carried out locally and nationally. What do you think of the work Oxfam do? We’re not a politically charged band, but there are a few causes that we hold close to our hearts, Oxfam being one. We are lucky enough to headline the Basement stage, so we’re just happy to be involved and help out. Who are you looking forward to seeing at Oxjam and are you all excited to perform? I’m going to sit on the fence on this one, there’s more than a few bands that owe us a drink or two and we wouldn’t want to jeopardise our chances of payment! The band is headlining the Basement stage at Karma Kafé this Friday and will be on stage from 11.15pm. If you like what you read then check out their website and in a month they will release their new EP!